CAN YOU IMAGINE TURNING A LIFELONG PASSION INTO A BUSINESS? 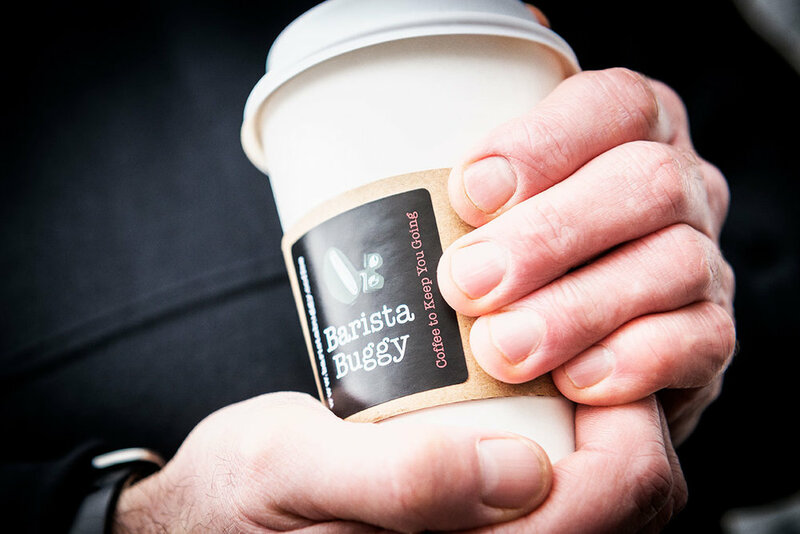 We’ll that’s just what Barista Buggy boss, Adrian Russell did. After working for many years as a food professional and also competing as an endurance athlete, his passion for both coffee and sport encouraged him to take a step back and look at what he really wanted to do with his career. Barista Buggy was the result! After working in the food industry for several years, I was given a job for a big name high street brand, selling coffee. Back then I was not a coffee drinker but I felt I could not go into one of my customer’s restaurants, and not be able to tell if the coffee was good or bad or right or wrong. If nothing else, I had to learn to be discerning. So, I discovered how to be a coffee professional and I simply fell in love with the drink. What’s more, I fell in love with not just the taste but the whole industry, including the coffee cultivation, roasting, blending, the history and all the wizardry required to produce the perfect drink. I’m qualified too, and this means that not only do I know the difference between a flat white and an Americano, I’m also a level 2 City & Guilds Barista. In my time then, I have been lucky enough to work with many amazing people from around the world. This includes The Rainforest Alliance where I learned about sustainability and as a part of this; visited coffee farms in El Salvador to see the growing and milling processes and how sustainability is more than just looking after the environment. Beyond my passion for coffee, I’ve always enjoyed sport. It was hockey and squash when I was younger and then triathlons after turning 40. Triathlon opened up a world of adventure as I worked my way through the various distances including completing the inaugural Ironman Wales in 2011. Since then I’ve embraced trail running and open water swimming and in 2013 completed my first ultra run in the Peak District. Since 2012, I’ve taken part in numerous UK open water swims including Brownsea Island, the Dart 10km and the Henley Bridge to Bridge swim. In 2016, I took part in my first event abroad when I entered and completed the Lake Zurich Marathon swim – finishing 4th in my category of over 50 non-wetsuit. A lot of my swimming is just for fun enjoying the company, the journey and the location. Wild swimming when and where I can, a few years ago, along with a group of friends we managed to swim under every full moon of the year – all 13 of them leaving some fabulous memories and strong friendships. My sporting adventures are ongoing and I continue to train as often as I can. I’m passionate about open water swimming and I run regularly with my run buddy - Eccles. Always on the look-out for a new adventure to go and explore. Sporting events — If you want your event to stand out from the crowd and have refreshments on hand of a quality rarely found in a muddy field, please get in touch to find out how I can add value. Community events — I can offer a choice of commercial packages that best suit the organiser to make sure that the attendees enjoy their day and feel they’ve have good value for money and the organisers make enough profit on the day to support their cause. Business events — If you think the Barista Buggy will help you win that next big customer or simply provide the standard of refreshments you would want all your customers and staff to enjoy, please contact me to discuss your requirements. Private parties — If you think that the Barista Buggy at your special day would be the icing on the cake, please contact me to find out more about what I can offer.